Ideally located on the Kuta beach, AlamKulKul Boutique Resort offers close proximity to markets, shopping centers, restaurants and much more. You can enjoy the sunset by the beach and enjoy refreshing drinks at Marry's Bar, Chief Surf Club. You are sure to enjoy the delicious breakfast buffet as well. 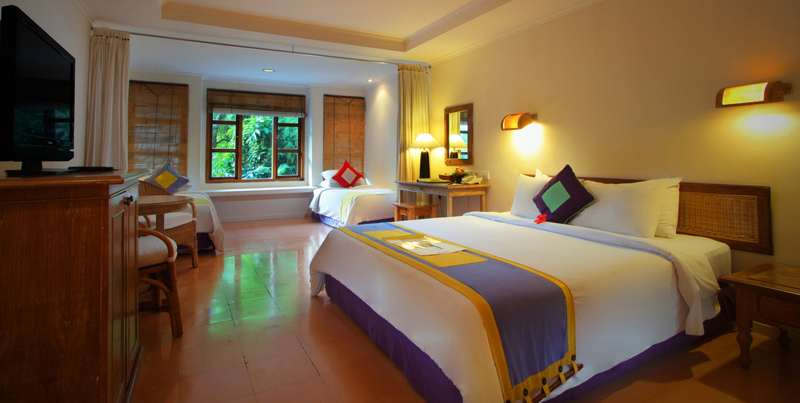 Nestled near the popular Legian sunset beach, Alam Kulkul Boutique Resort Kuta is a 4-star hotel. Offering an astonishing sunset view of Kuta, this hotel engages the nature and its beauty at its best. This award-winning luxury hotel can allure anyone with its own charm and character. For a divine and luxurious holiday, visitors must come here. Offering impeccable tranquillity, it is hidden in the environmental-friendly frame and is just perfect for honeymooners and couples. Moreover, the multiple accommodation options along with world-class services and facilities are something the hotel is known for. Some of the nearby attractions to the hotel are Sky Garden, Waterbom Bali, Bali Mall Galleria, and Paddy's Club Kuta. Enjoy the stunning view around the hotel from the terrace. 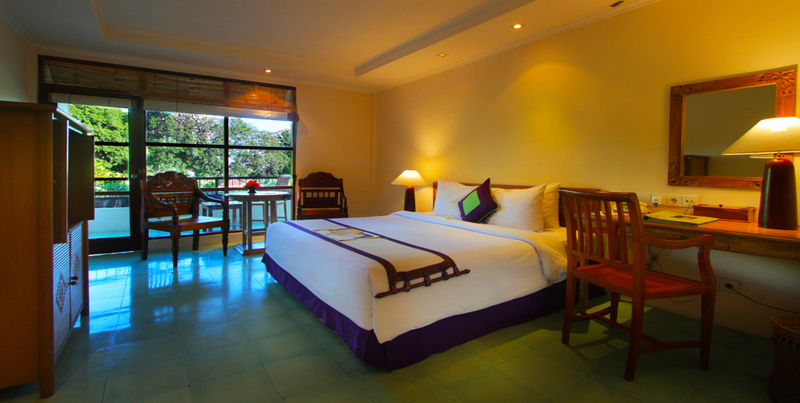 Want best Legian Packages with this Resort? The hotel offers spacious rooms, which are segregated into Mystery Room, Alam Villa with Pool Access & Alam Club Lounge Access, Alam Villa with Dinner & Lounge Access, Deluxe Alam Double or Twin Room, Deluxe Family Room, Triple Room, Deluxe Alam Lanai Room with Alam Club Lounge Access, Alam Double or Twin Room, Alam Lanai Room with Alam Club Lounge Access, Family Room, Quadruple Room, Alam Villa with Alam Club Lounge Access, and Java Villa with Plunge Pool & Alam Club Lounge Access.Rooms of Alam Kulkul Boutique Resort Kuta are decorated in a modern Indonesian style. Also, they are equipped with a TV, free Wi-Fi, air conditioning, minibar and tea/coffee making facilities. Private bathrooms come with a bathtub and shower. In fact, some rooms have a private balcony. For the convenience of its guests, Alam Kulkul Boutique Resort Kuta offers a luxurious spa and fitness and wellness center. It features a business center and meeting/banquet facilities. Guests are also provided a variety of facilities like a 24-hour front desk, tour desk, concierge service, and luggage storage. Additionally, the hotel provides currency exchange facilities and shuttle service too. Internet access is available in all areas free of cost. For recreational purposes, many activities are offered such as live music performance, cooking class, happy hour, wood carving and many more. Moreover, BBQ facilities, a terrace, and garden are also maintained by the hotel. Alam Kulkul Boutique Resort Kuta features restaurants and bars namely Papas Limoncello Cafe, Bunga Kelapa Restaurant, Poolside Bar, and The Veranda. Papas Limoncello Cafe is an Alfresco Italian Family Restaurant that offers Mediterranean cuisine and more than 27 classic juice, coffee drinks, mocktails, beers, cocktails, and wines. Bunga Kelapa Restaurant uses coconut as the main ingredient for its delicacies. Poolside Bar offers a variety of cocktails. The Veranda, one can have a panoramic view of the beach with refreshing drinks. Offering exceptional hospitality to its guests, Alam Kulkul Boutique Resort Kuta is renowned for its facilities. Located in a perfect area, this property is known for its budget-friendly price as well. Friendly and professional staffs always remain ready to serve the guests in the best possible way. BBQ facilities, terrace, and garden really make it different from other Bali hotels. For a memorable and extremely comfortable experience, tourists must come at the Alam Kulkul Boutique Resort Kuta and stay for a while. Its unmatched beauty and soothing environment can mesmerize anyone. How much is the distance between Kulkul Boutique Resort Kuta and the International airport? The hotel is situated at a distance of approximately 5.3 km from Ngurah Rai International Airport. Does the hotel offers an airport pick up and drop services? One can go to the famous Kuta Beach to enjoy Balis golden sunsets. Waterbom Bali is also nearby to explore and get engaged in the recreational work. Moreover, one can also visit places like Kuta Theater, Circus waterpark, Dream Museum Zone, 5GX Bali Reverse Bungy, and Armada Flow House. Is there any shop inside or near the hotel? Yes, there is a gift shop inside the hotel premises. Yes, hotel Alam Kulkul Boutique Resort Kuta provides offers like Staycation package, Family package, Romantic package, and Eat, Stay and Relax package. In order to render a beautiful experience to its visitors, Alam Kulkul Boutique Resort Kuta maintains excellent lodging facilities that can attract any visitor. From its hearty ambiance to refreshing food at its restaurants to warm hospitality, everything that it harbors is world class. Here, guests can capture the mesmerizing beauty of Kuta beach from The Veranda. Moreover, guests can enjoy impeccable food at the great Asian Restaurant inside Alam Kulkul Boutique Resort Kuta. The friendly staffs ensure a hassle-free stay. The tranquil environment at the idyllic pools gives your thoughts freedom to dip in the vast ocean of memories and emotions. This establishment is absolutely ideal for couples because of the exceptional aura that it has. The fame it has, its facilities, amenities, and services enhance that.